Bar & Cocktail ToolsCocktail tools for the best cocktails It takes essential bar tools to make the best mixed drinks and cocktails. With ‘Bartender of the Year’ Tess Posthumus as our ambassador, Barprofessional has considerable knowledge of the sector in house. Our broad knowledge and experience enable us to offer you a well-balanced range of cocktail tools. Such as cocktail shakers, bar spoons and strainers, for instance. I.e. everything you need to make the best cocktail. We have an extensive range of barware including muddlers, jiggers and lime squeezers. These items are among our wide collection of tools to make such world famous cocktails as Mojito and Cosmopolitan. All our cocktail tools from A to Z Barprofessional represents many years of experience. Ever since our company was founded in the early 1900s, we have continued to set the trend with our products. Innovative, qualitative and, above all, functional. These three keywords recur throughout our range of cocktail bar tools. The best products to prepare the very best cocktails. So if you are looking for muddlers, strainers or shakers to make the perfect cocktail, you’ve come to the right place. Barprofessional: the specialist wholesale supplier. From A to Z! BarwareThe best barware and bar accessories for professionals A set of basic barware is indispensable to every professional bartender. That’s why our range of barware is so hugely extensive. Our product line has grown over the years and currently includes hundreds of different items, such as bar mats and ice buckets. Indeed, Barprofessional is the quality specialist when it comes to barware. We know all there is to know about bar tools, cocktail bar tools and wine coolers etc. Ice buckets, glass mats, brush glass washers, spirit dispensers, bottle holders and pitchers. This is just a small selection of the barware we can supply. Barware and bar accessories for every bar, restaurant, club or discotheque We are convinced that using the right bar accessories improves turnover in the hospitality sector. A sector in which professionalism, efficiency and functionality are extremely important. As bartenders know better than anyone else. Barprofessional supplies bartools for all kinds of hospitality facilities; from hotel bars to clubs. Our keywords? Quality, customization and a good price. And that for high-end products! The Collection – By Tess PosthumusThe Collection Bar tools – By Tess Posthumus Tess Posthumus is an award-winning bartender who fell in love with the magical world of cocktails. She created her own set of exclusive black in order to share this world with you. Discover new flavors & revisit the old ones The Collection bar tools will help you discover new flavours, revisit the old ones, and get inspired at thecollectionbartools.com. A mobile bar which can be set up within one minute, by just one person. 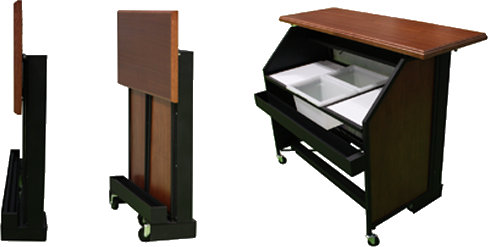 The mobile Smartbar™ is ideal for events, functions, corporate parties, exhibitions or bars. 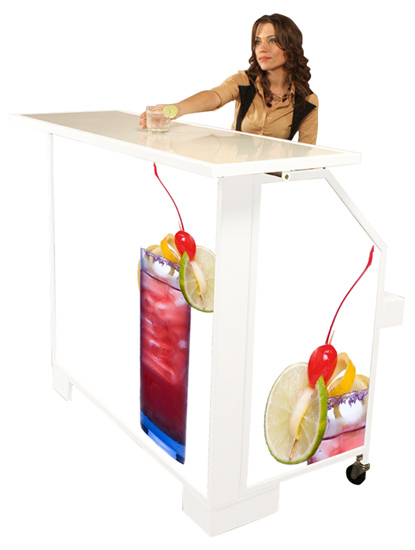 The Smartbar™ was originally designed as a cocktail bar but can now also be used as a mobile wine bar. The Smartbar™ is already in use in many hotels, which is perfectly logical as this mobile bar on wheels offers advantages only. This collapsible mobile bar for the hospitality and catering industry won the 2012 Hoecava Innovation Award, which it won for its simplicity and mobility. The Smartbar has LED lighting. The panels are changeable and available in any shape or colour, branded with a logo if required. Consider the space saving. The Smartbar also helps avoid additional workload and waiting at the regular bar. A fantastic innovation and extremely versatile. If you’d like to know more about our Smartbar, please feel free to contact us without any obligation. 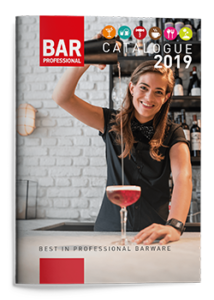 View the catalogue online and discover the extensive collection for barprofessionals. Would you like us to send you the Barprofessional catalogue and get inspired? Please complete the request form.